Everything is good except audio Level, It has very low sound, not satisfied. s-7 has good processor 1.5 then u only think how will it can give more back up. How much is the phonebook memory????? titanium s7 has great camera and picture quality.it has 1.5 giga hz quad core which is superb.it provides you 441ppi thats very sarp. I would like to buy it. camera quality is poor. best for gaming. If u really want music i suggest u just buy any sony mobile and don't use sony ear pphones just buy Samsung s5380 ( wave y) ear phones and listen songs and write ur opinion here!!!! Doodle 2 is much better than all!!!! 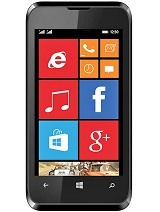 If u want free demo about all the phones just search in you tube!!! Even doodle 2 is better than galaxy s4 and grand phones!!!! what abt the apps instolation memory and user memory ??? Plz tell me which phone better karbon s7 or micromax canvas 4? 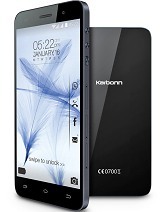 Total of 81 user reviews and opinions for Karbonn S7 Titanium.